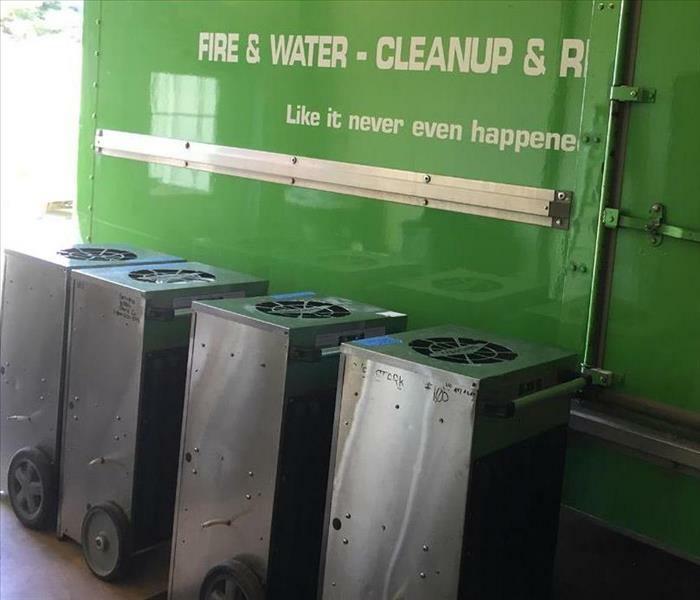 SERVPRO of West Akron specializes in fire clean up and restoration. Our crews are highly trained and have experience to quickly clean up and restore your home or business to pre-fire condition. We can also remove the pervasive smoke odor and deep-clean soot from upholstery and carpet. An air scrubber filters airborne particles out to the air giving a cleaner environment to breath in. The machines are used on many types of jobs, primarily mold remediation projects and water jobs where the use of fans can stir up dust and send particulate in the air. 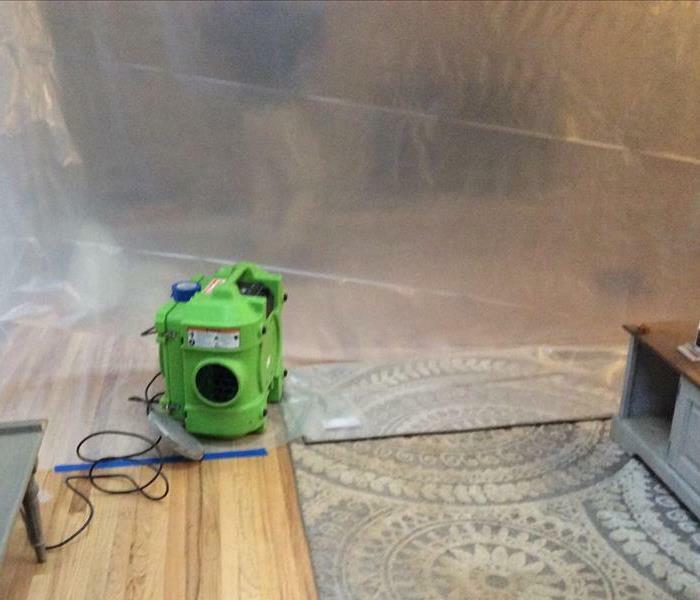 SERVPRO of West Akron has the specialized equipment to handle any size flood or water emergency in Akron, Ohio. We are available 24 hours a day, 7 days a week—including all holidays. You can expect an immediate response any day or night. SERVPRO of West Akron at 330-867-5723. The SERVPRO of West Akron has a great marketing team that drives brand awareness through on site marketing and face to face interaction with our agents, adjusters and clients in the Akron, Stow, Cuyahoga Falls, Tallmadge and other Summit County communities. SERVPRO of West Akron is locally owned and operated with a staff that is here to help 24 hours a day, 7 days a week to cleanup and restore your home or business after a water, fire, storm or mold damage. Call the professionals at 330-867-5723! SERVPRO of West Akron is locally owned and operated, so we are part of this community too. We take pride in being part of the Stow, Ohio community and want to do our part in making it the best it can be. We asked our local agents to provide food donations and collected them for Stow Bulldog Bags, Inc. which is an all-volunteer, non-profit organization that is funded solely by food donations and distributed to the local school students discreetly by school personnel, so that the recipients can remain anonymous. SERVPRO of West Akron is available 24 hours a day, 7 days a week, 365 days a year! We will work hard to restore your property and its contents to preloss condition after any size disaster. If you think you might have mold problems, call SERVPRO of West Akron at 330-867-5723. We will examine your structure for any visable signs of mold. We can safely restore your home to preloss condition. The first 48 hours after a fire damage can make the difference between restoring versus replacing your property and personal belongings. 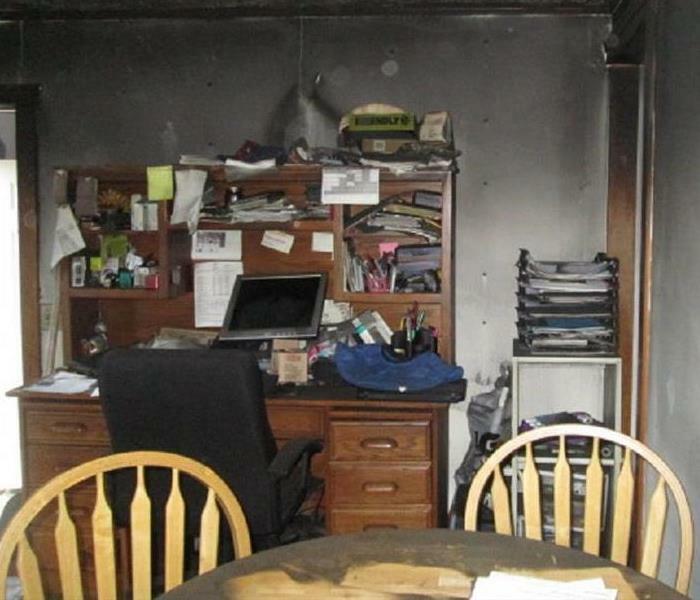 Call the professional team of SERVPRO of West Akron at 330-867-5723 to clean your belongings after a fire. 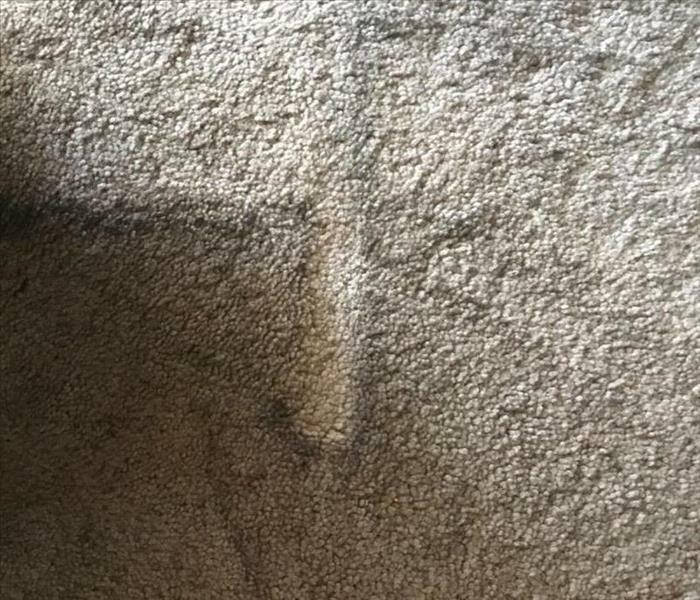 Mold can grow on any type of surface. In this picture mold has grown on the door frame, baseboards and drywall. It is important to call professionals like SERVPRO of West Akron to remediate mold. SERVPRO of West Akron getting the equipment and trucks ready for a large commercial water loss that happened in Summit County. No job is to big for our highly trained and professional crews. SERVPRO of West Akron 330-867-5723. The crews of SERVPRO of West Akron heading out to Akron for a large water loss to clean up and restore the property after a storm, "Like it never even happened." SERVPRO of West Akron at 330-867-5723! Did you know that SERVPRO of West Akron can help after a storm with tree removal and roof tarps? After the storm has passed there may be several ways that a disaster can damage your home. We can help you from beginning to end. Removal of the tree and tarping the roof to mitigation and dry out of the water damage to the interior of your home to rebuilding of any structural damage. SERVPRO of West Akron does 24-Hour Emergency Board ups and Roof Tarps in Summit and Stark County Ohio. Call us to help you with any damage to your residential homes or commercial buildings due to weather related storm damage 330-867-5723. Our SERVPRO was called out to a large church that had roof damage during a storm. The rain water leaked into the church throughout the storm damaging several rooms. 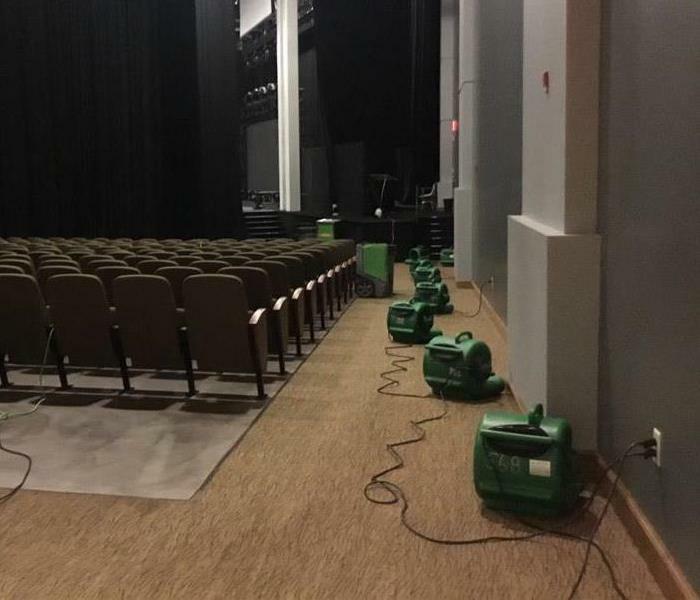 In this picture the room is very large and we placed several dehumidifiers and angled our fans toward the walls to dry out the church. The church was open for Sunday services of that week. There are different severities of fires. Some fires require SERVPRO to pack out personal belongings to clean at our facility while the home or business gets rebuilt. Our SERVPRO facility has three bays that can hold up to 10 families personal belongings. Our crews were called to a flooded basement. Mold started to grow since the water had been in the basement for almost a week. When our crews arrived on scene our crew chief needed to suit up with respirators and Personal Protective Equipment (PPE). 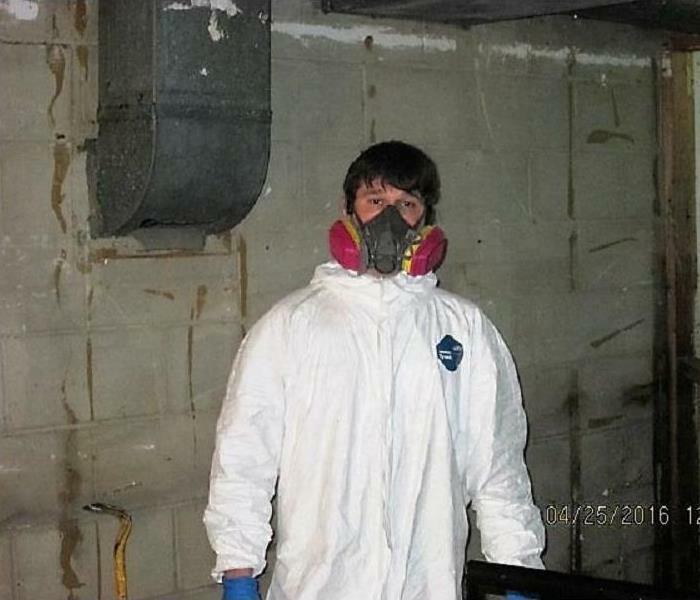 PPE is worn to protect our crews during mold remediation. This was the aftermath of a fire that happened in a Salon in Summit County Ohio. We were called on scene to assess all the damages and to begin the clean up process. It doesn't matter the size of the building SERVPRO of West Akron makes disasters "Like it never even happened." Pipe-break in Summit county at a rehabilitation facility. There was water in all rooms with insulation and ceiling tile debris. Our team quickly responded in the middle of the night to start the clean up and dry out process. We were able to get the facility up and running quickly. The SERVPRO crews are available for emergency board ups after a fire. In this picture a home in Akron, Ohio had a garage fire and our team boarded up the garage door that was severely damaged. SERVPRO of West Akron's professional crews use this Dry Cleaning Sponge to clean ceilings, walls, blinds, lamp and window shades and much more that have been soot damaged in a fire. SERVPRO of West Akron uses many different chemicals when cleaning up after a fire or water damage. One of these chemicals is the SERVPRO wood creme paste that cleans and restores wood furniture after being damaged in a fire. SERVPRO of West Akron has the ability to tarp roofs and board up homes from Storm Damage. Our crews are available 24 hours a day - 7 days a week. Call us today at 330-867-5723! SERVPRO of West Akron was called out for a basement water damage. The homeowner had been on vacation when the flood occurred. When we arrived at this home the ceilings in the home were full of mold growth. The reason that this happened is because if your home has water damage due to a flood, mildew and mold will develop within 24-48 hours of water exposure. Even worse, it will continue to grow until steps are taken to eliminate the source of moisture, and effectively deal with the mold problem. When a polar blast storm hits Summit County Ohio pipes in our home might freeze. The most likely cause of burst pipes in your home will come from frozen temperatures and unprotected piping. This normally happens when you don’t have the correct heat in your home which includes excluded areas. A pipe bursts when frozen due to the expansion of the water as it becomes ice. This puts pressure on the pipe from the inside and something has to give. This almost always is the soft copper or plastic of the pipe. Sometimes these breaks can be at the weaker joints or in the middle of the pipe. As quite a lot of your piping in your home is hidden in flooring, roof spaces or walls, the damage caused can be devastating. 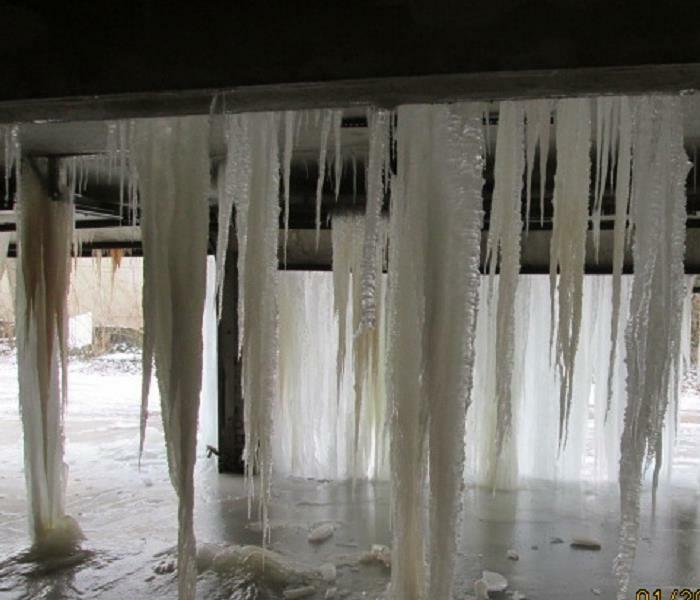 In this picture a pipe broke above a garage and when the water was exposed to the storm that consisted of very cold temperatures the water froze. SERVPRO of West Akron was called to help dry out and clean up. Our SERVPRO crews are more than colleagues they are friends working together on restoring a fire damaged home in Summit County. Don't hesitate to call SERVPRO of West Akron to clean up and restore your home after a fire has damaged your property. Our highly trained and certified crew members are ready to help! Our SERVPRO of West Akron crews used the SERVPRO Injectadry equipment to place on a water damage floor to restore the hardwood flooring instead of replacing them in a home in Stow Ohio. The cause of loss in one home SERVPRO did. Pipes breaking can cause huge losses in your home, so that's where SERVPRO comes in and makes it "Like It never even happened." SERVPRO was called in to fix this water damaged wall. SERVPRO of West Akron is here to help you with your next water of fire damage. Please call us today at 330-867-5723! This is what causes a lot of water damage in homes. 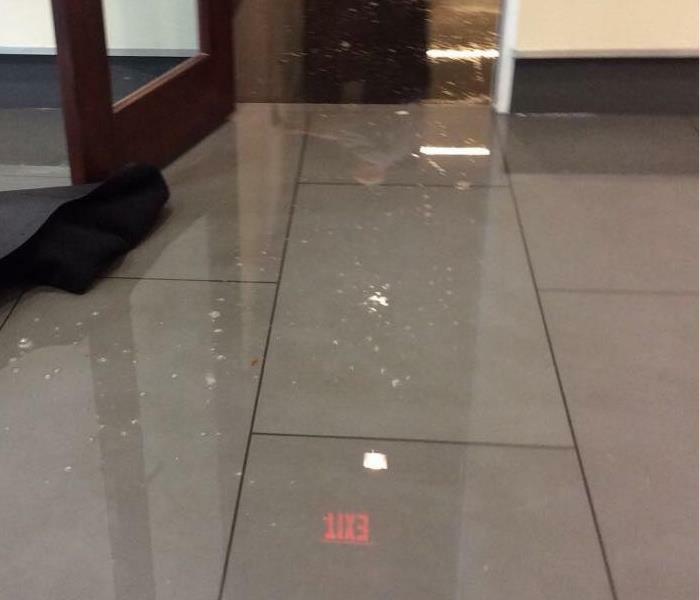 The pipes burst, and cause SERVPRO to be called to make it "Like it never even happened." SERVPRO of West Akron is here to help you with your next water of fire damage. Please call us today at 330-867-5723! This wall really took a beating before SERVPRO and made it "Like it never even happened." This is what it looks like when SERVPRO fixes a kitchen floor that was infested with mold. Some more mold that SERVPRO had to deal with at a job. SERVPRO of West Akron was called to a water clean up at this commercial business in Akron Ohio. We are available 24/7/365 for all emergency water and fire clean up in Summit County. 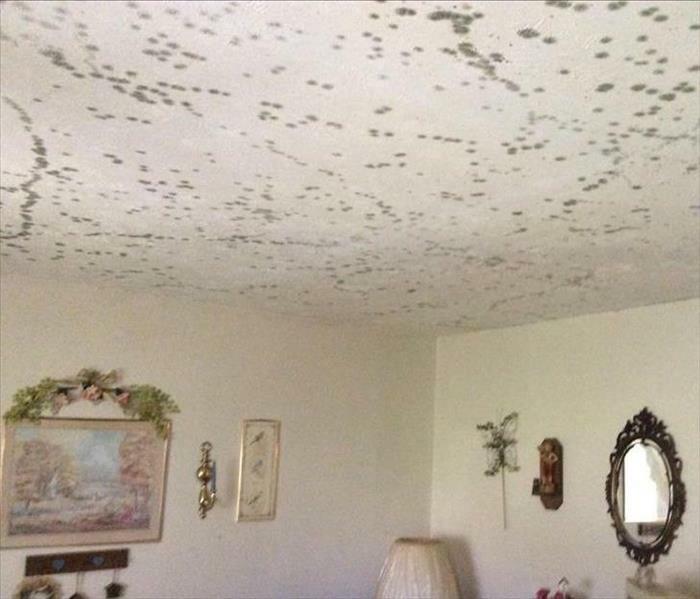 This is the ceiling of Carnation Clinic before SERVPRO of West Akron came to the rescue and made it "Like It never even happened." Our teams are trained to handle any size job in a residential home or commercial building. This hallway was damaged after a pipe break. The SERVPRO of West Akron crew was called to clean up and restore this commercial property "Like it never even happened."